Deep breath, everyone. The Space NK Beauty Advent Calendar for 2018 is here, available for pre-order. It is their first Advent Calendar up for sale. And, YES, it ships worldwide, tracked, free! 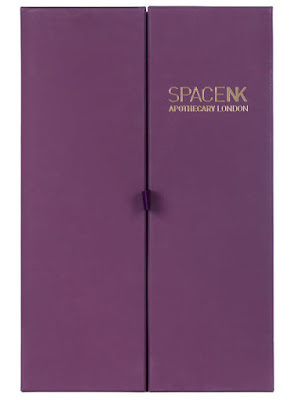 My expectations were very high when I heard that Space NK was doing an advent calendar this year. I knew it would be very high-end, very luxurious, and I'm right - the calendar is priced at £250, and is worth more than £600. There are 25 products inside. Worldwide shipping is free. Pre-order the Space NK Beauty Advent Calendar 2018 here. Scroll down for the contents and spoilers of the Space NK Beauty Advent Calendar 2018. Let's take a second to talk about the packaging. Pull-out drawers here; none of that ridiculous prise-open-until-your-nails-retire-till-New-Year's-Eve plastic with tight-arse doors. A gorgeous gold, burgundy, and emerald colour-scheme. This one SCREAMS "luxury". Le sighhhh. SO many goodies - two whole candles! OMG Drunk Elephant! How can we POSSIBLY resist? Drunk Elephant! Also, I'm delighted to see De Mamiel Cleansing Dew, and Hourglass Veil Powder. This one packs a punch in terms of brands and products included. If I had to nitpick, it would be about the Eve Lom cleanser. I think I've lost count of the jars I have. They probably don't really get around to selling those, because they're giving them away in all those beauty boxes, gifts with purchase, and advent calendars, and no one is running out of it! It is a nice product alright, but IDK if I will ever need to purchase it, given that they still keep placing it everywhere. 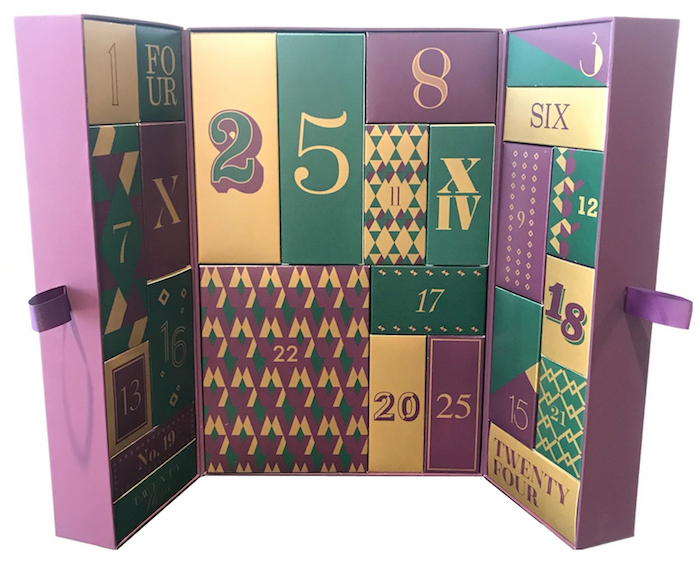 The Space NK Beauty Advent Calendar 2018 is available on pre-order here - they ship worldwide tracked, and this one comes free of shipping costs. It costs £250, as I said, and is worth £600+. It will ship out only from October 15, although you can order now. A great way of ensuring that the demand doesn't crash their website, come launch day. Quite a few other beauty advent calendars are also available now here, with more coming soon!